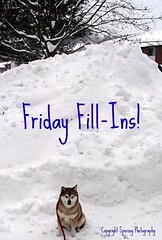 Happy T.G.I.F. I am so glad it's Friday. i was looking forward to this weekend.! So much going on. I am gonna be busy but sure gonna have some fun too. he he. Tomorrow is the big Ohio State vs. Michigan game. Last game at home so we got discounted tickets and we get to go see it. I am so thrilled. I am looking forward to it. It will be my first Hockey game ever so i am going at a great time. The riverary Oh i will try to get pic. Then Sunday is my mother's 50th b day party. So were going to busy this weekend, then i have to work 8 p-10 p. So busy busy day. 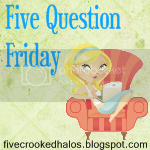 Well, anyways i am linking up with "My little Life" for Five question Friday. 1.) What is a hobby that you would love to learn and why.? I would love to learn how to knit because i know how to crochet and would like to see how different it is and to see if it makes a difference in making things. 2. )What do you wish you could have delivered to your house but does not delivered.? 3.) What is your favorite snow day activity.? Inside or outside.? Well i am not an out dorsey person in the the winter time but, when i was little my favorite outdoor activity in the winter was making snow angles or snowmen. Indoor activities we played card games or board games. Those were the good old days. 4.) Would you meet a stranger from an internet dating site.? Well that's basically what i did. My friend told me that she had someone to set me up and he was one pof- plenty of fish so we started talking and Ben and i met and started dating and now we are actually getting married.! So it worked out for us. Also have a cousin that met his wife online and they been married for awhile now and are great. At first i was kinda lieant with it but i met a few people off the website.But i am happy with who i am with.If my friend didn't mention him to me and go online I may still be seeing my ex boyfriend Jerrod. Who knows,? But i am in love and happy. 5.) If you had to spend 35 hours in the car with 4 other people,who would you choose.? Wow 35 hours in a car with 4 people.? whew that's a long time. But i think i wouldn't be able to choose. I would rather be by myself for the 35 hours for concentration and quiet if i could just choose that.? 1.) Paisley is something i never worn. 2. )I need to start wearing my hat more when it gets windy. 3.) Where is Carmen San Diego.? 4.) God is the only person who knows when the world will end. 5. )Sometimes less is better then none. 6. )I love the mustard Grey Poupon. 7.) And for this weekend tonight i am looking forward to bed.Tomorrow my plans include Going to a hockey game that is Ohio State vs. Michigan game in Columbus Ohio.And Sunday i want to go to church,celebrate my mom's 50th birthday and i have to work. 1.) 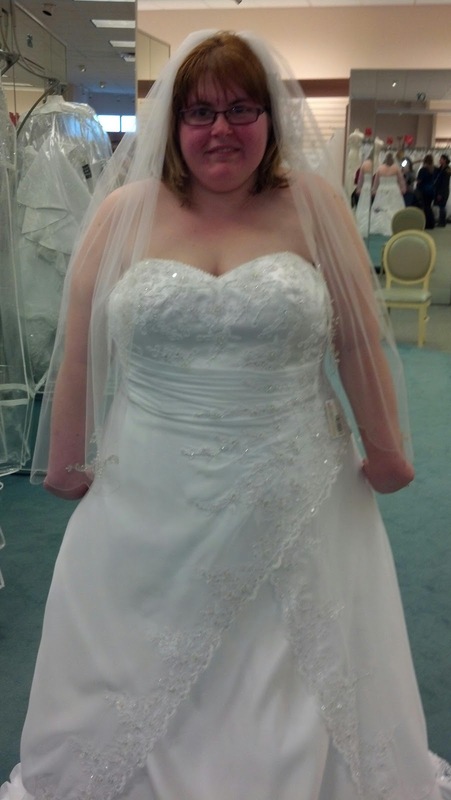 I can't believe that i got the wedding dress of my dreams. 2. )I never liked the TV show Keeping up with the Kardasians. 3. )If i were a richer person I would most defiantly be a happier person. 4. )I never can sleep when i don't have to work the next day. Kardashians...UGH... hasn't it been 15 minutes like Long Ago? enough already please. Love that 35 hours in a car with 4 people question. Will have to think about that one. I can tell you that one of my children is not likely making the trip - haha. One of them Must, absolutely must have excellent music taste and be DJ. that much I do know. i know i hated that show since day one. i don't know how people can watch it. thank you i love the dress.even though its a lot it sure is worth it. I am looking forward to my big day.